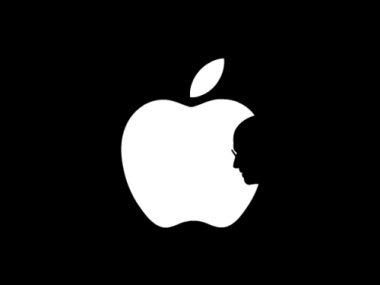 According to the social media measurement firm Sysomos, as of midnight Eastern time, the number of Tweets mentioning Steve Jobs had reached 1.4 million, and as many as 11,000 news articles had been written about his passing and his legacy. That legacy — and his influence on the lives of people around the world — is inestimable, and we will be talking about him and his amazing, interesting life a great deal in the coming days and weeks. But as the sun comes up here in New York this morning, still mourning the departed, we are forced to confront more immediate and material concerns. Insensitive though it may seem to consider at this moment, Apple is not simply a great company — it has also proven over the last decade to be a great investment, and as such is one of the most widely held stocks in the world. Its largest shareholders are the big mutual fund companies like Fidelity, the Vanguard Group, State Street Corp. and T. Rowe Price, who among them own more than 15 percent of Apple’s shares. And as Apple’s value, as measured by market capitalization, has ballooned from less than $10 billion a decade ago to north of $350 billion as of yesterday, the anxiety about the mortality of its founder has regularly caused its value to swoon. Over the seven-year course of Jobs’s illness, Apple shareholders have had to come to terms with the so-called “Jobs premium,” the extra value attached to the company’s shares that existed as long as he was directly involved in mapping company strategy and applying his unique touch to its products. The conventional wisdom among Apple analysts now is that Apple investors, once known for their hair-trigger reflex to sell on any whiff of rumor, have gained a more complex and reasonable understanding of the situation. Apple, without Jobs, will still be Apple, and for the immediate and medium-term future, there is no reason to believe that its strategy and execution will falter in his absence. But as I wrote in August, when Jobs resigned his position as CEO, it’s important to understand that Apple’s long-term vision has been deposited deeply within the DNA of the company. There is a script for the next several years. Products are mapped out, schedules are set, components have been purchased, manufacturing deals have been inked. In short, everyone at Apple knows what their job is and will continue to do it without missing a beat. The path ahead is no less clear today than it was yesterday. No doubt the shares will be volatile as the markets open today. But that volatility will be much less than might have been expected years ago. It wasn’t so long ago that analysts predicted that, upon the death or departure of Steve Jobs, the company would lose as much as a third of its value. That’s no longer likely. Today, investors seem to understand intuitively that the fundamental reasons to invest in Apple remain unchanged. The growth trajectory and profitability in the sales of its products remain the envy of the industry. There are predictions that Apple will sell more than 100 million iPhones next year, and nearly 30 million iPads in the second half of this year. Mac sales continue to set records quarter after quarter. For all its strength in North America and Europe, Apple still has significant room to grow overseas. There are already signs of progress. In its most recent quarter, Apple reported revenue in the Asia-Pacific region of $6.3 billion, amounting to 22 percent of sales, and more than triple the sales seen in that region a year ago. One key market — China — remains a strategic priority for CEO Tim Cook and his team. Apple is still something new to the people of China, and introducing them to the brand on an ever-widening scale will be an interesting journey. If history is any judge, it will be a fruitful introduction. Wherever it goes, Apple’s brand seems to succeed. Ask anyone familiar with it — it is easily one of the best-loved and most recognized brands. And yet when branding experts measure its brand equity, it ranks high but surprisingly also shows room to improve. Just this week, Interbrand, a consultancy that focuses on corporate brands, released its annual survey of the world’s Top 100 brands. Apple is ranked No. 8, one notch above the Walt Disney Company (of which, ironically, Jobs was the largest shareholder), and two notches above Hewlett-Packard; the company had seen the largest year-over-year improvement in the value of its brand. It’s informative to consider some other names that appeared in the Top 10: Stalwart consumer brands like Coca-Cola (No. 1), General Electric (No. 5) and McDonald’s (No. 6). Yet it’s also interesting to note that among the technology names that appeared in the Top 10 of the Interbrand survey, Apple wasn’t at the top: That distinction goes to IBM (No. 2), Microsoft (No. 3), Google (No. 4) and Intel (No. 7). Rather than a weakness, I think this fact speaks to Apple’s potential. The story of Apple has never been one of narrow horizons. It has always been about looking ahead. Not just to the next quarter or to the next year, but of seeing how the march of technological progress can be harnessed to make life better in ways we can hardly grasp now. And yet when things like the iPhone materialize, they become part of us and quickly embed themselves into the very fabric of day-to-day existence. They’re not tools so much as extensions of our minds and identities. And that vision, so carefully articulated by Steve Jobs yet revealed only one product at a time, is still incomplete. And so I find myself writing something that at once seems absurd and yet completely obvious: It may very well be, on this deeply sad day following the death of its founder, that Apple’s best days are still ahead.